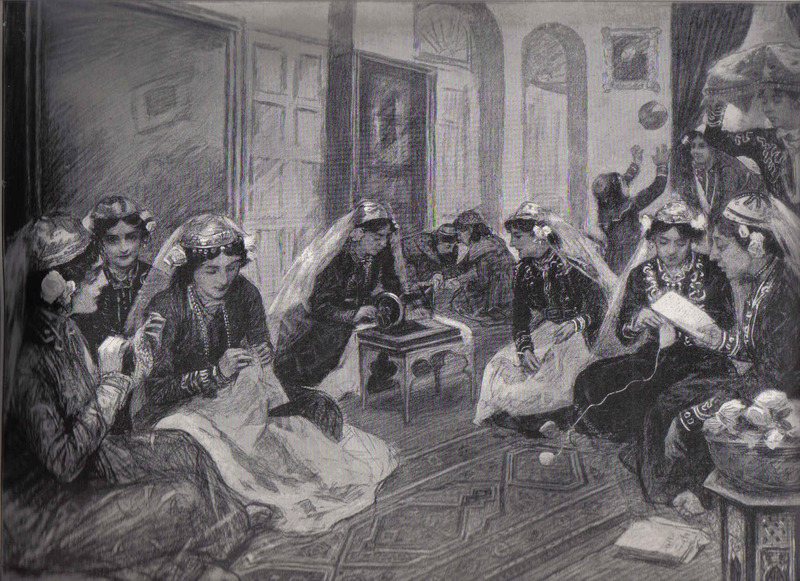 In general the production of embroidery is carried out by girls and women at home. By the end of the twentieth century there also was a significant number of men carrying out embroidery, but this was usually machine embroidery produced in tailor’s workshops. Afghanistan is surrounded by many different ethnic groups and cultures and it is not surprising therefore that the materials, designs and colours used by the Afghan people for their embroidery reflect the central and important location of their country in Asia. Almost each ethic group inside Afghanistan has its own specific way of living, which is often reflected in their traditional embroidery. 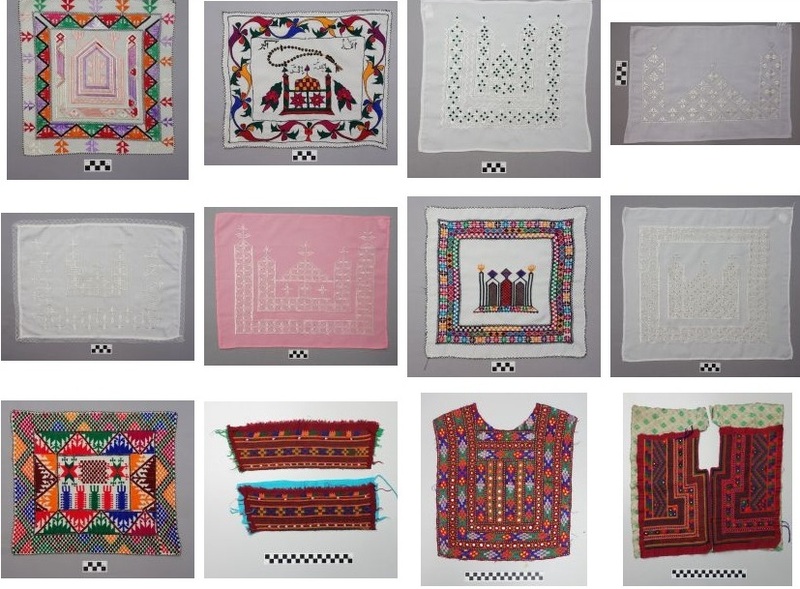 Example of Kandahari whitework embroidery (khamak), Afghanistan, 1950s-1970s (TRC 2016.1792). For more information, click the illustration.Some of the most famous embroidery for men, for example, comes from Kandahar. 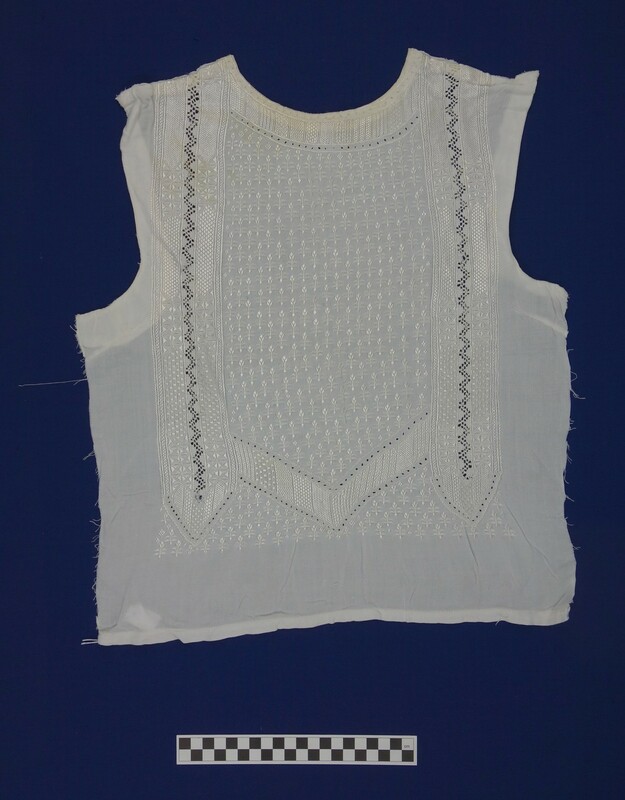 This is the famous whitework embroidery. It is locally known as khamak and is worked in satin stitch on a fine cotton or white silk background. The satin stitch is traditionally worked from the reverse side of the material, and great care is taken to ensure that the front and back of the embroidery look alike. Comparable forms of embroidery are known from Herat, in the west of the country, and from among the Nuristanis, east of the capital Kabul. This form of embroidery is comparable to the chikan work from northern India (especially from the city of Lucknow). One of the most widespread uses of embroidery is for the small skullcaps worn by men, women and children. Each group has its own style of cap and form of decoration, with many variations, designs and colours that can be related to different villages, gender, and so forth. A range of different types of silk, cotton and wool yarns are used for embroidery on whatever fabrics are available. Metallic threads, spangles, sequins, mirrors and metallic braids are incorporated into the designs. .In addition, beads and large mirrors are used for Pashtun women’s dresses, while beads, coins and shells are often found on the dresses worn by nomadic women. Pashtun and Baluchi women also include small mirrors (shisha) in their works; an idea that originates in northern India. A relatively limited number of stitches are used and these are closely related to the various ethnic groups. Some of the main forms are: blanket stitch, chain stitch, cross stitch, herringbone stitch, Holbein stitch, ladder stitch, long and short stitch, Roumanian couching, satin stitch, and slanting blanket stitch. Some of these stitches are used to cover large areas of cloth quickly with bold, floral designs, while others are used to create intricate, geometric patterns. Embroidered panel for a woman’s dress, Afghanistan, 1950s-1970s (TRC 2016.1771). Stylised animal elements, such as ram’s horns and ‘lions tails’ also occur. Sometimes objects such as amulets and even teapots are included. In some areas embroideries include figurative motifs such as animals, birds and very occasionally human beings. For more information, click on the illustration.Afghan embroidery offers a great variety of motifs and designs. Each region and group has its own particular range of motifs, such as the sun and stars; geometric shapes (circles, squares, triangles, rosettes; Greek fret patterns); foliage based motifs such as almond leaves, melon stalks, pomegranates, as well as flowers such as tulips and pimento blossoms, which represent fertility.